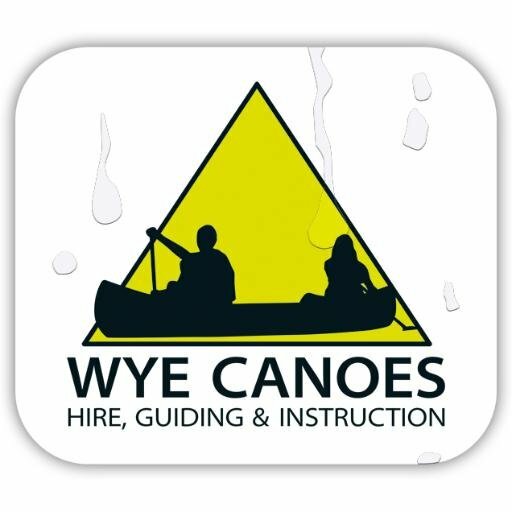 Wye Canoes are Adventure Experts with years of experience Providing Professional and friendly Canoe & Kayak Hire, Guided River Trips, Expert Tuition and Courses on the River Wye and the River Usk as well as a range of Outdoor Activities and Multi Activity Adventures in the Wye Valley! Based in the heart of the Wye Valley at Symonds Yat West we are perfectly situated to take advantage of some of the countries most stunning outdoor locations for not only paddling but climbing, caving, bushcraft and gorging. We hold licences from the Adventure Activities Licensing Service (AALA), British Canoeing, Hereford Council, The Forrestry Commision and are members of the Institute for Outdoor Learning (IOL) and Leave No Trace Outdoor Ethics, as well as being a Duke Of Edinburgh Approved Activitiy Provider. Our customers range from large corporations, schools, youth groups, the Armed Services and public bodies to families, Inviduals and sports persons. There are half-day, full-day or multi-day canoe trips or hourly canoe hire from Ye Old Ferrie Inn, take advantage of our fantastic location. Our Wye Valley Guided River Trips cater for groups of all sizes and ages. Maybe you just want to experience the rapids with your friends and family. We are experts in creating fun bespoke outdoor experiences to suit your budget and tastes. We promise fantastic days out in stunning surroundings that your company, group, stag or hen party will never forget! Experience more than one sport by combining canoeing through stunning scenery from Kerne Bridge to Symonds Yat with bushcraft, climbing, orienteering or mountain biking, accompanied by qualified guides who inspire and teach you. We offer affordable, quality one to one instruction, or have courses designed to develop your allround paddling skills. Plus qualification courses in BCU / UKCC Coaching Paddlesport, First Aid & Foundation Safety & Rescue. Bushcraft is about surviving and thriving in the great outdoors and the acquisition of skills both modern and ancient including fire craft, tracking, hunting, fishing, shelter building, with the use of tools such as knives and axes. Bourg Saint Maurice – France, ideally situated amongst world class ski resorts excellent for beginner & expert skiers. Complete with canoe club, white water slalom course, alpine mountain biking & hiking. Paddlesports is our passion and with the beautiful River Wye on our doorstep we are very lucky. Ideally suited for that cruise through some the countries most stunning scenery or if you are something a little more adrenaline fueled then mabe a white water coaching session here in the rapids is for you. Our highly experienced local guides and Instructors are here to make sure you have a fantastic experience whether that be hiring canoes or kayaks or taking a SUP lesson, or maybe a team building event or school or youth group guided expedition we have the local knowledge and experience to make sure you have a time to remember and return time after time. This is a chance to experience one the best climbing locations in the country. Our highly experienced climbing & caving instructors will show you everything you need to know to get started with the emphasis on safe enjoyment of the sports. The climbing at Symonds Yat Rock is suitable for all levels including complete novices, it is a friendly venue set in stunning surroundings. All sessions are tailored to the party’s desires and level of experience. climbing, abseiling and caving are great fun activities and combined with canoeing provide a day out to remember and a great introduction to the sports for beginners. Bushcraft not only teaches valuable survival techniques but goes further and is about how to thrive in the great outdoors, sustainability and how to live off the land, its surviving and thriving in the natural environment, and the acquisition of ancient skills and knowledge to do so. Bushcraft skills include; firecraft, tracking, hunting, fishing, shelter building, the use of tools such as knives and axes, foraging, hand-carving wood, container construction from natural materials, rope and twine-making. We are perfectly located in the Forest of Dean on the River Wye and our bushcraft survival courses are tailored towards those who want to learn how to make the best of the tools and resources to hand, many of these techniques are taught to the military and have been used all around the world. Our courses are great for individuals or for groups alike and very popular team building events. We have courses and trips to suit all tastes, from a bushcraft taster session and a day of canoeing and bushcraft which is a great way to see the stunning Wye Valley and a great introduction to both activities to a full on 3 day River Bushcraft Expedition on the River Wye. If you are unsure of what Gorge Walking or Scrambling is about then it involves donning a wetsuit, buoyancy aid and helmet and spending a wonderful few hours with your guide and group walking, scrambling, climbing, abseiling and leaping into plung pools in stunning magical locations throughout England and Wales. Gorge walking is a great all year round activity and our instructors have years of experience and know the gorges inside and out and can make sure your day out is not only as much fun as possible but also safe. Gorge Walking, or Gorge Scrambling as it is sometimes called, is a great team building activity and you can either have a half day or full day session or maybe have a really wild day out and combine climbing, caving or abseiling with gorge walking, the gorge location has some fantastic climbing, great abseils and wonderful caves to explore, we can even split your group if only some want to climb or abseil maybe the others can go caving, we can make a day to suit your needs and a day of adventure you will never forget. Meet us at the Gorge or we can transport you, bring some lunch and a group of friends or colleagues for a great day out, one that you will never forget. Wye Canoes is an approved activity provider for the Duke of Edinburgh Award Scheme. Being based in the heart of the Wye Valley in beautiful Symonds Yat, we are in the perfect location with fantastic facilities to run and assess Bronze, Silver and Gold Duke of Edinburgh Award Schemes. We can provider supervisors, canoe and kayak instructors, assessors and have superb overnight locations for all grades of the Award. DofE expeditions provide young people with a reason and opportunity to explore fantastic locations both in the UK and abroad. The skills learnt in preparation for an expedition such as first aid, camp skills, navigation and organisation are skills that can inspire and serve them in many ways for years to come. As experts in adventure we teach canoeing / kayaking, campskills, bushcraft, navigation, first aid, planning etc…everything needed for a successful Duke of Edinburgh Award. We have fantastic campsites and an intimate knowledge of the Wye Valley so we are the perfect company to organise your DofE expedition.